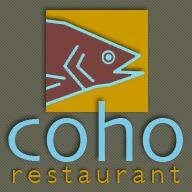 Coho Restaurant, in Friday Harbor Washington, serves Island grown Pacific cuisine with a Mediterranean flair. Coho’s Chef creates exciting menus developed around the seasonality of fresh ingredients from the surrounding Islands. Each night, this “Best of the San Juans” restaurant menu showcases simple and artful fare that allows the flavors of the individual ingredients to resonate on the palate. Throughout the year, Coho presents special dinners. Every Wednesday, throughout the winter and spring, travel the world and enjoy international cuisine from near and far, without the cost of a plane ticket.